Jesus never asked His disciples to remember His birth. But He did instruct them to remember His death and resurrection. He gave the church two visible symbols (called “ordinances”) as reminders of His death. These two ordinances are: Baptism and The Lord’s Supper. 2. Because Christ Commands it. 3. It demonstrates that I really am a Christ Follower. 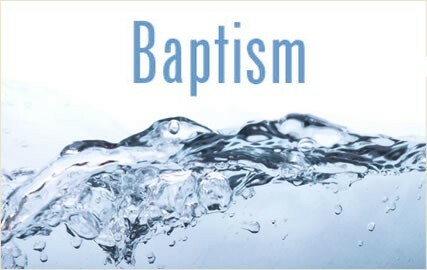 If you are interested in discovering if Baptism is something you would like to pursue or to talk to Pastor Ric about Baptism, please click the email link above or call.